As the name suggests, influencer marketing is the promotion tactic when a business collaborates with a blogger, vlogger, or any kind of social influencer. Over the past several years, social media influencers have grown exponentially. Their dedicated followings and the general reputation in the real world has changed, too. 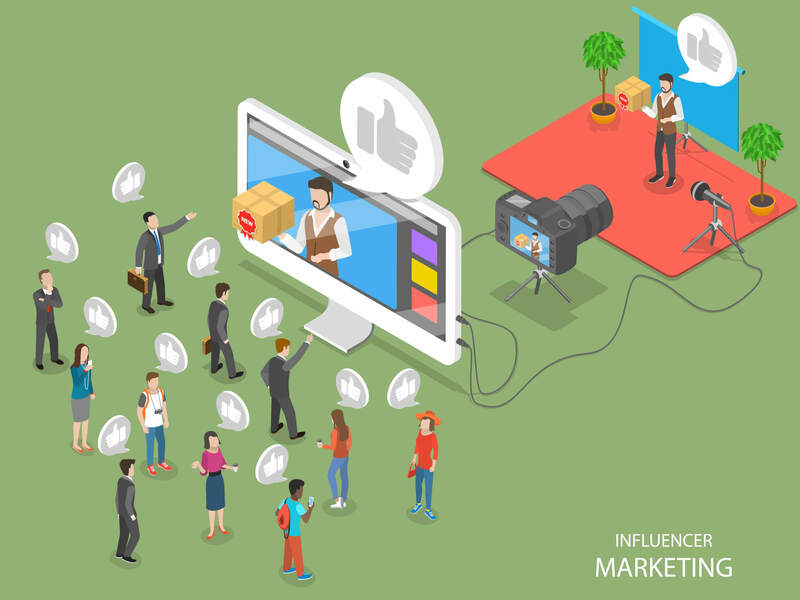 Originated from the celebrity endorsement technique, the increasing popularity of influencer marketing in today’s digital world can be of a great value to brands. Instagram is the platform of choice for social influencers. And it does bring visible results in both social engagements and ultimately, conversions! According to eMarketer, Instagram influencer marketing doubled in 2017. Last year, sponsored posts generated over a billion likes. Several industry surveys showed that over 72% of respondents made a fashion or beauty purchase after seeing something on Instagram. How to find the most suitable social influencer for your brand? In the ever-changing world of social media, an influencer should be considered by 3 criteria: relevance, reach and resonance. First, the audience of your potential influencer pick needs to coincide with your brand’s target audience and be relevant to the industry in general. Second, the reach of an influencer should be the follower base who can bring value to your brand. Lastly, in terms of resonance, find an influencer who can attract the audience to your brand. A large number of followers alone becomes irrelevant if the engagement is disproportionately low. In a niche field, a small but highly engaged follower base can become a powerful tool in attracting people to your business’ offerings. Tapinfluence found that engagement rates are often higher for “micro-influencers”—those with 5,000 to 25,000 followers. When you collaborate with a niche influencer, craft your message to be catered specifically to their follower base. Stay away from all things generic. Your brand message needs to be adjusted to really resonate with the influencers’ audience. Once you develop an audience persona through the chosen influencer, you can attract bloggers with similar sets of content and qualities to be ambassadors to your brand. For marketers these days, trust is the key. If your potential customers trust and respect the opinion of your influencer, the results of this collaboration can affect your business extremely well. To stay away from fraud accounts, look at the engagement they receive: likes, comments, mentions, etc. Make sure your message has a consistent look, feel, the tone in order to be impactful. Pay attention to the followers’ values, when everything else seems figured out. For example, if you are a vegan brand, an influencer who wears fur might not be a good fit as it might spike a dissonance and even an outrage in the comments.